The healthcare industry is booming throughout the United States, and demand for patient space in hospitals and doctors’ offices is at a premium. Many healthcare organizations are building new facilities or expanding their existing footprint, and the Hardin Memorial Hospital in Elizabethtown, Kentucky, is no exception. The hospital was growing and needed more patient rooms, so the organization looked to longtime partner JRA Architects to help design an expansion. With the help of a lightweight metal wall system, the designers were able to double the size of the expansion, gaining additional rooms from a limited footprint. The existing hospital had two floors, and ownership wanted as much new patient space as it could get. The addition was originally scheduled for only one story, says Mark Trier, principal in charge at JRA Architects. The architect worked with structural engineer ICON on an imaginative solution. 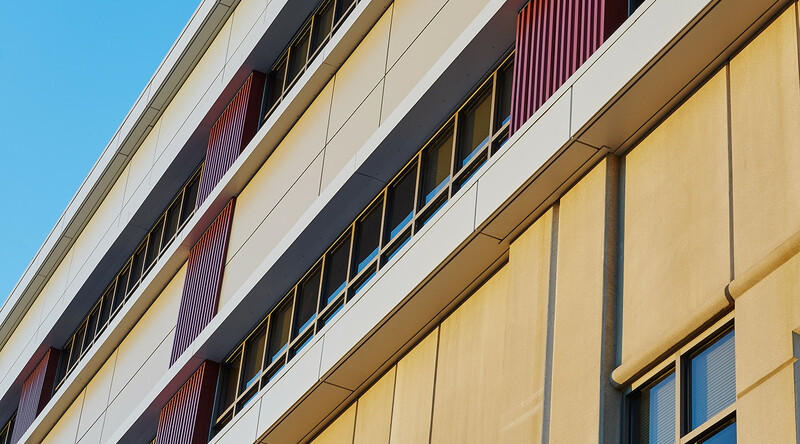 The lower two floors of Hardin Memorial Hospital utilized precast concrete. The weight of that material would have allowed only that single floor in the vertical expansion, but switching to metal, which is much lighter, enabled the second story of the addition. "[ICON] told us that if we could decrease the weight of the wall system and make it lighter, we could add two floors,” Trier says. “That made the client very happy because they are growing, and hospital space is at a premium. Every square inch is utilized." Doubling the addition raised the total size from 19,000 square feet to 38,000 square feet and added 56 rooms instead of just 28. “If we were only doing one floor, we might have considered using precast, but for reasons of weight and meeting energy code, it was advantageous to use metal,” Trier says. 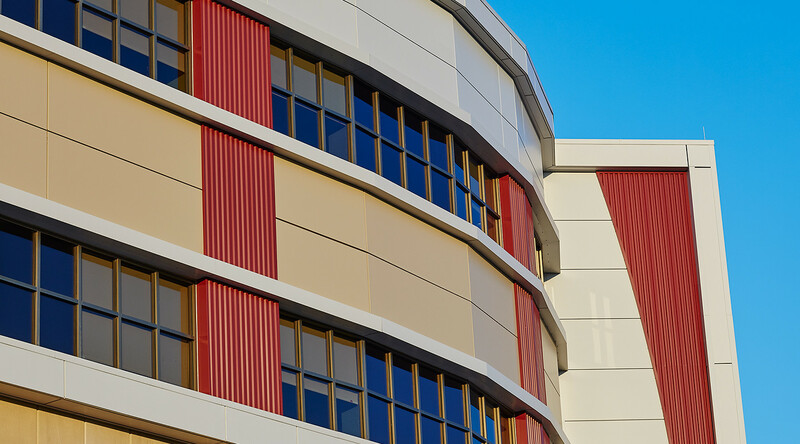 Weight was part of the reason that the architect specified metal, but the CENTRIA metal panels chosen also help bring the hospital expansion to life. 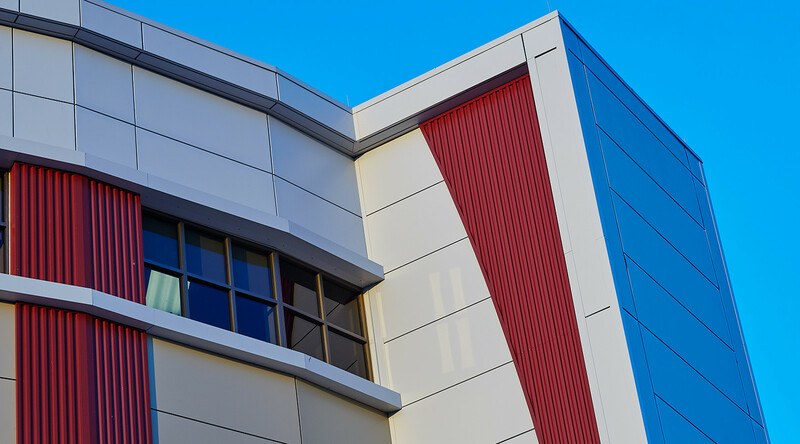 The project used a mix of lightweight Formawall Dimension Series insulated metal panels and single-skin Concept Series rainscreen panels in a variety of striking hues. "Part of the decision was because of color,” Trier says. “Because we were adding on to the campus, we wanted to create a uniform look that is dramatic but at the same time respects the existing color. We were able to use a surrey beige, which is a nice color. We accented that with a maroon, which is the hospital’s color, and an aluminum gray. So we were able to use the panels to reinforce the hospital’s branding." The metal wall system also enabled the architects to play with shapes in the design. “There are sweeping curves that help announce the entrance,” Trier says. 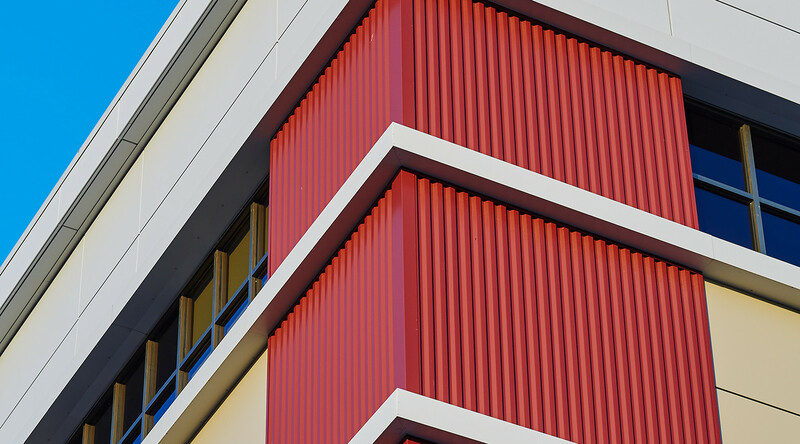 “Using a combination of flush panels and corrugated panels created a nice aesthetic appearance." JRA had worked with Hardin Memorial Hospital for about 20 years already, doing master planning and additions throughout the campus, from the emergency department to the patient rooms to the radiology department, says Trier, who worked with his JRA colleague, project manager Dave Russell, on the hospital addition. The architect also had a long working history with construction manager Whittenberg Construction, which was helpful in dealing with any construction challenges on the project. "We’ve worked with Whittenberg Construction on many healthcare projects,” Trier says. “They’d worked at the hospital before and knew how to work on an urban campus. Any hospital is a tight site. You don’t get much layout space. The contractor and installer were great to work with on this project." The design and construction team utilized CENTRIA’s considerable expertise during the expansion project as well. “Because there were a lot of different connection issues, we needed to work out the details, and they were very helpful,” Trier says. 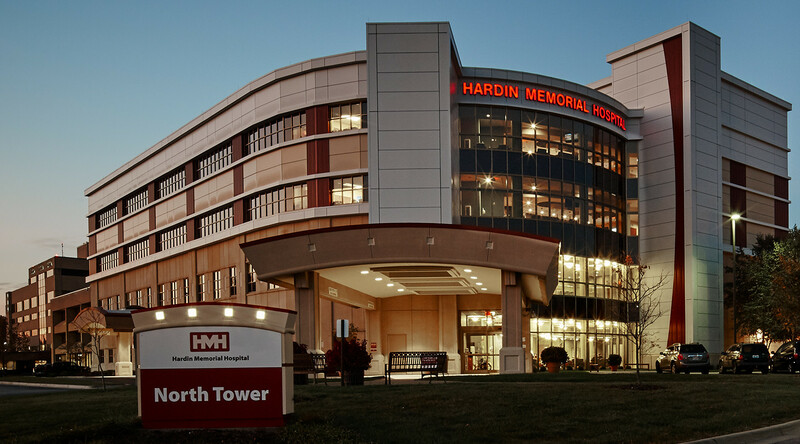 The Hardin Memorial Hospital expansion was completed and opened in 2014; it has been serving patients since. “The reaction has been very positive,” Trier says. “The patients love it because there are new patient rooms that are well-designed and have attractive interiors. It’s easy to find and in a very prominent area. Hardin has done a great job of branding and attracting people to this portion of their campus."